A new $1.3 million high-tech robot is helping bioscientists advance their research, as they search for ingredients to use in everyday products, like skin cream and shampoo. A new $1.3 million robot is helping bioscientists advance their research, as they search for ingredients to use in everyday products, like skin cream and shampoo. 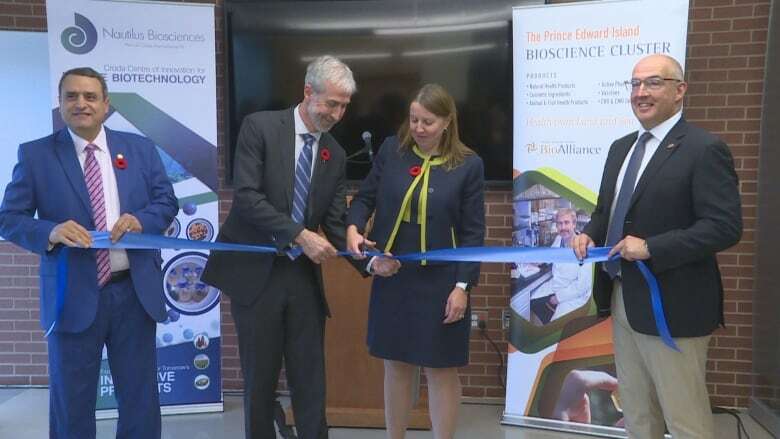 Nautilus Biosciences — which was recently acquired by international biosciences company Croda — officially unveiled an expanded facility at UPEI on Wednesday. The high-tech machine is a key part of the expansion, and will allow scientists to work more quickly and efficiently. The facility, dubbed the Centre of Innovation for Marine Biotechnology, is part of a partnership between Nautilus Biosciences and the university. For more than a decade, Nautilus Biosciences has built up a library of thousands of marine microbes, which scientists test for useful ingredients like antifungals. "We travel around to many different corners of the world, we have microbial collections from the Arctic down through to the Caribbean, Mediterranean, Dead Sea," said Russ Kerr, who co-founded Nautilus Biosciences in 2007. Kerr says there is more biodiversity in the oceans than on land, which was the impetus for the focus on marine microbes. "Within each site we collect samples from microbe isolations from very diverse areas. From sediment for instance, little pieces of sponge tissue or coral tissue can be used to isolate microbes." Until recently, scientists worked by hand to test the microbes, using pipettes (similar to syringes) to mix dyes and other ingredients with the microbe samples. "That's very labour intensive, and of course, when someone's doing this repetitively hour after hour, day after day, mistakes can be made. We're all human," Kerr said. With the new robot, Kerr says there won't be mistakes, and it will be able to work much more efficiently. 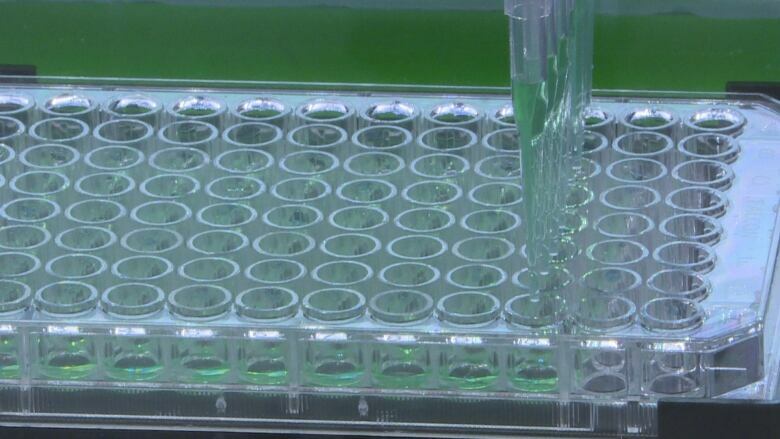 "[It] can very precisely, reproducibly, inject, if you like, 96 samples into multi-well plates at one time, with great accuracy, great precision." The machine can also move samples around, add cells and more. Kerr says Nautilus has already had success in finding useful antimicrobials and antifungals. The ingredients are not yet in products on store shelves, but he expects to see two product launches in the next few years. As well as searching for ingredients to use in personal-care products, Kerr says the researchers are also interested in crop-care products, and could expand to other industries in the future. He hopes the new technology will mean more discoveries, more quickly. Higher-than-budgeted tax revenue leads to $75M surplus for P.E.I.